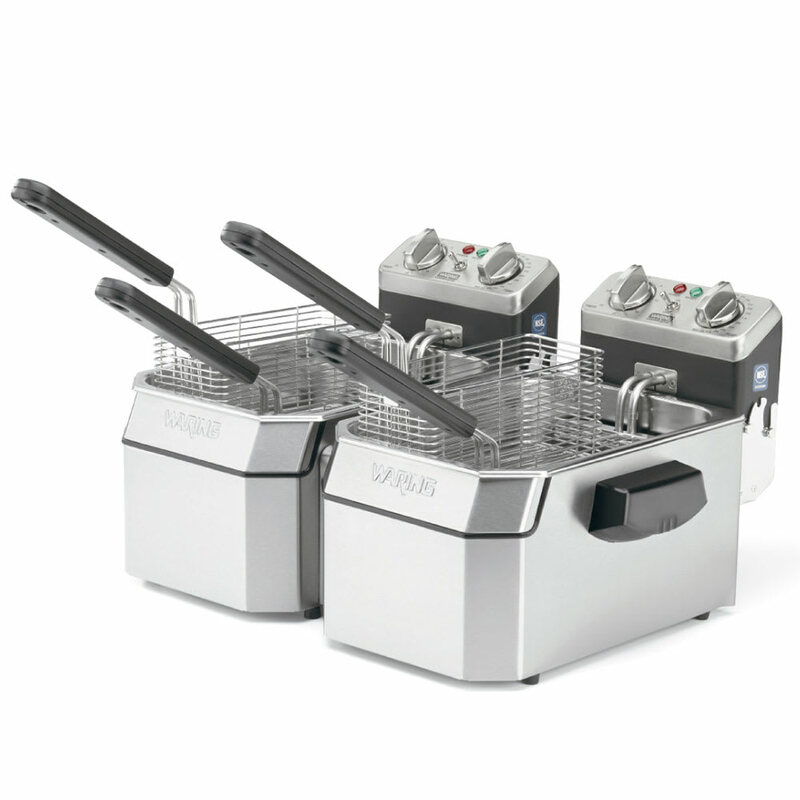 The Waring WDF1000BD countertop fryer has two 10-pound-capacity frypots. Each pot can fry 34 pounds of fries per hour. The temperature is adjustable to 390 degrees Fahrenheit, and 30-minute timers keep up with the frying process. Cleaning the tanks is simple since they are removable and made of stainless steel. They are accessible when the hinged heating elements are in a raised position. Two large baskets are included with four twin baskets. Can fry 34 lbs. of fries per hr. Unsure if this is the right fryer for you? 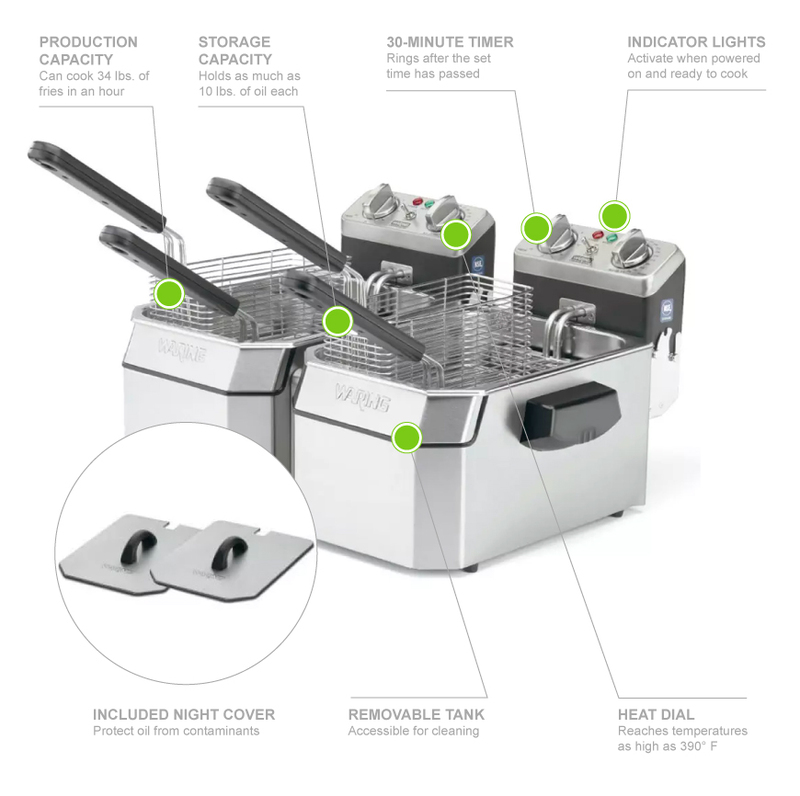 Read more about them in the commercial fryer buyers' guide.